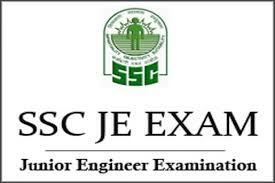 A thorough preparation is required to crack SSC JE exam. Candidates need to strategize properly to clear the SSC JE exam.Following recommendations can be implemented in order to perform well. It is very important to keep syllabus in mind as well. The candidates need to know the SSC JE syllabus well. A candidate should cover all the topics in the syllabus. A well-structured plan should be made, keeping the focus on SSC JE important topics and allocating time accordingly. Difficult topics should be given extra attention. Basic understanding of every topic should be developed. The candidates can refer to study materials available and reference books for SSC JE. A candidate can find SSC JE sample questions paper online available on the web or from SSC JE question banks.